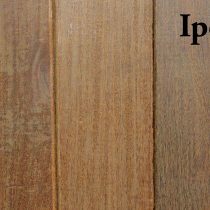 Ipe hardwood comes from South America. 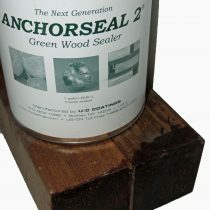 Ipe is a very strong, dense and heavy wood. This exotic hardwood has a golden brown to dark brownish red color. This wood is ideal for decks and outside projects as it is highly resistant to decay and termites. Due to its beautiful color, it is often used interior as well as exterior. This wood is not as easy to stain, saw and nail due to its density. 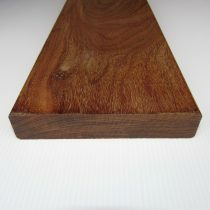 The Ipe 2×2’s are surfaced with a slight rounded edge. Actual size is 1-1/2″ x 1-1/2″. Available in 4′, 8′, 10′, 12′ and 14′ lengths. This item is special order only. Please inquire with sales staff. 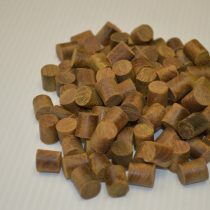 Ipe plugs are perfect for all exterior wood projects to give a more seamless look. Sold individually and by the 100 count. The Ipe 4×4’s are surfaced on all four sides and square edged. Actual size is 3-1/2″ x 3-1/2″. Stocked in random sizes from 8′ to 16′ and sold by the linear foot. This product has limited quantities in stock. Please inquire with sales staff regarding availability.